WOW! 30$ Free Bet! Join now! Up to €50 refund if your first bet will be lost! 100% Sign Up bonus for all new players! OMG! Use our Bonus Code: sY2J3P to get free money! The Best Possible Odds here! Bitcoin only! Hello guys! 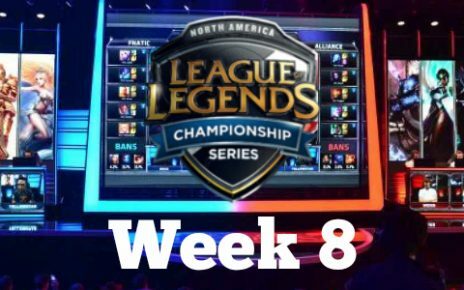 The LPL is winding down and we’re here yet another week to discuss and make League of Legends betting predictions for the upcoming Week 9 matches. Let’s get to it! Match of the week is definitely going to be the battle for first place in Group B. This has definitely been one of EDG’s weakest splits to date with the squd looking shaky on a number of occasions. Not only has their macro play dropped down but the individual talent on the crew is also not what it used to be. This is to be expected with the team being in a rebuilding process however it’s still odd to see EDG not being their usual dominant self. In their Week 8 series against Newbee they once again didn’t look very good, struggling to defeat their opponents. Throughout the entire split they have barely defeated any squad in a decisive 2-0 victory. With EDG in their current state it would be safe to say WE would take the win right? Unfortunate for WE they stumbled themselves, losing 0-2 to the QG Reapers last week to the surprise of many. With how dominant they have looked recently, smashing all of their opponents, it was expected that Team WE would win the series. Condi however was unable to have the same impact from the jungle that he usually has and WE suffered because of it. While the crew has good laners Condi is usually the person that enables his teammates to carry. This was not the case against QG and it’s one reason why Team WE lost the series. This battle will heavily depend on whether or not Condi is able to bounce back from the loss to QG. If he does then I don’t see Fireloli being able to contain him. If ClearLove plays instead of Fireloli then EDG would likely have a better chance of winning but Team WE are definitely the favorites coming into the match. I would expect EDG being able to win at least one map but my League of Legends betting prediction would be a 2-1 victory for Team WE. This match is going to be a slug fest and a battle for playoffs. Newbee is currently sitting in 4th place with Vici being one game behind them. Game Talents is also looming in 6th place with 4 wins, ready to pass both squads in the standings. With all of that in mind both crews in this match-up will definitely want to pick up a win. Both teams are in an unstable state where they could win at any time and lose at any time. Newbee seems to rely heavily on Swift’s performance to win their fihgts while Vici’s main carry is Easyhoon as expected. This is likely going to decide who wins the match. If Swift is able to have smart jungle pathing and is able to punish Easyhoon in some way, it’ll go a long way towards Newbee winning. It’s not going to be easy though as Easyhoon is usually a very safe and reliable laner who doesn’t die to ganks too often. I expect Newbee being able to win the series 2-1 but it’s not going to be an easy win for them. Vici is in a state of desperation where they are trying really hard to win every single game. They are unlikely to go down without a fight. However Newbee is in the same situation and are in a better form at the moment. In the first weeks of the LPL this match would have been a stomp for RNG. However it doesn’t seem like that will be the case right now. OMG is playing quite well and are sitting in 3rd place being one win behind Invictus Gaming. World6 is playing very well and his aggressive early stage style is similar to mlxg’s style. Unfortunately for OMG mlxg not only provides aggressive early game pressure to RNG but he also contributes to the shotcalling. World6 is not at that level yet but it’ll be interested to see how he matches up to mlxg. The shining light for OMG would be if Uzi is unable to play again. He missed out on Week 8 because of wrist injury with Again playing instead of him in the AD Carry role. If that happens once again it may be a way for OMG to gain a lead in the bottom lane. SmLz and Five have become a very solid and reliable bottom lane and I definitely think they have what it takes to dominate RNG’s bottom lane if Uzi doesn’t play. With that in mind predicting the series is fairly straightforward. I still think RNG are favorites and I expect them to win with a 2-1. OMG has what it takes to take one map but RNG’s macro and individual talent is still above OMG’s and it’s why I expect them to win the series. There’s definitely room for an upset though so I am not a 100% confident in my prediction. Despite Snake’s struggles this split their Week 8 victory over IMay has given me hope that Snake has what it takes to defeat Invictus Gaming. The main problem for IG seems to be adaptation. In a lot of series they play really well in the first game but completely drop the ball in game two. Not to mention Kid’s performance is largely inconsistent. Whenever he is able to play well and get RooKie or Duke off the ground, Invictus Gaming suffers because of it big time similar to how WE is reliant on Condi doing well. Snake on the other hand has good laning and are able to win without relying too much on their jungler SofM. The problem comes in the mid stage and their team fighting. Ever since the start of the split and the constant roster shuffles, Snake’s teamfighting has been lackluster possibly due to lack of synergy and communication. After bringing back TANK in the mid lane their teamfighting was actually better and it really showed. This is a very good sign for them. If they are able to win the first map, Snake has a really good chance of winning the series because of IG’s poor mid-series adaptation. Although the series is likely to go to three games, I personally expect it to end in two games with one crew just coming in strong and being able to finish strong. Invictus Gaming are slight favorites but either team has a good chance of winning. With their huge win vs Team WE and a lot of momentum, I expect QG Reapers to take the win over Vici. Against a crew as clean as WE, I don’t expect Game Talents to take a win here. Look for a 2-0 win by WE. Although IMay has the ability to take the series OMG are the favorites in their current form. 2-1 victory for OMG seems likely. Despite their dominant win over IMay in Week 8, RNG are a level above Snake. If Uzi plays it should be a 2-0 for RNG but if he doesn’t then Snake can take one map. With QG being expected to win over Vici, it’s likely they’ll ride the momentum and win this series to secure 3rd place for themselves. It honestly seems over for LGD and while they will still try to win, IMay has more on the line in this match and I expect them to take the win for sure. 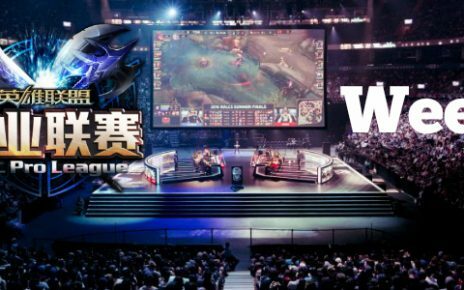 Thank you for reading my League of Legends betting predictions for the LPL Week 9. See you next time! Good luck! 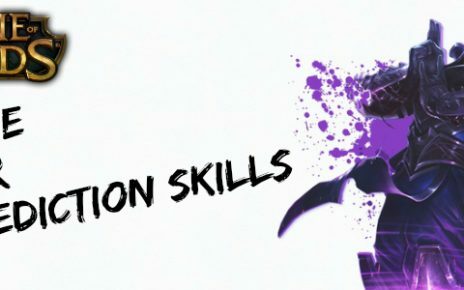 League of legends tips – how to make Lol betting predictions?